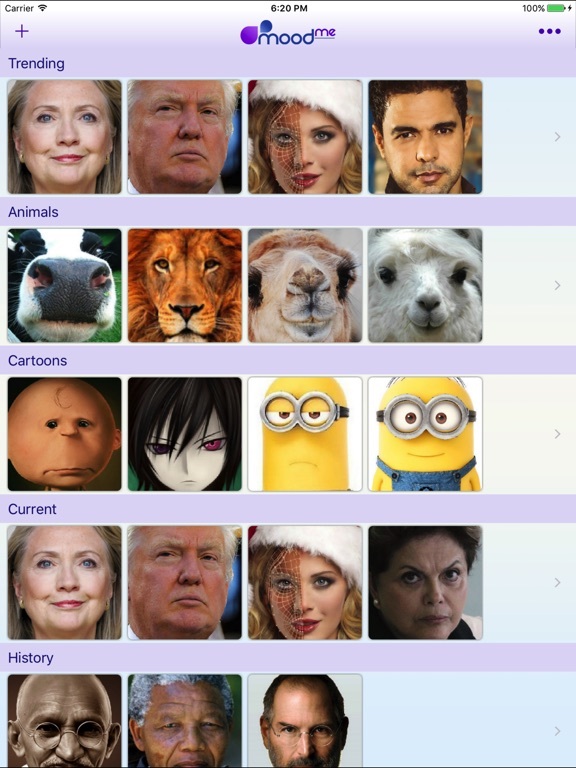 Living and Talking Emoticons with your Face! 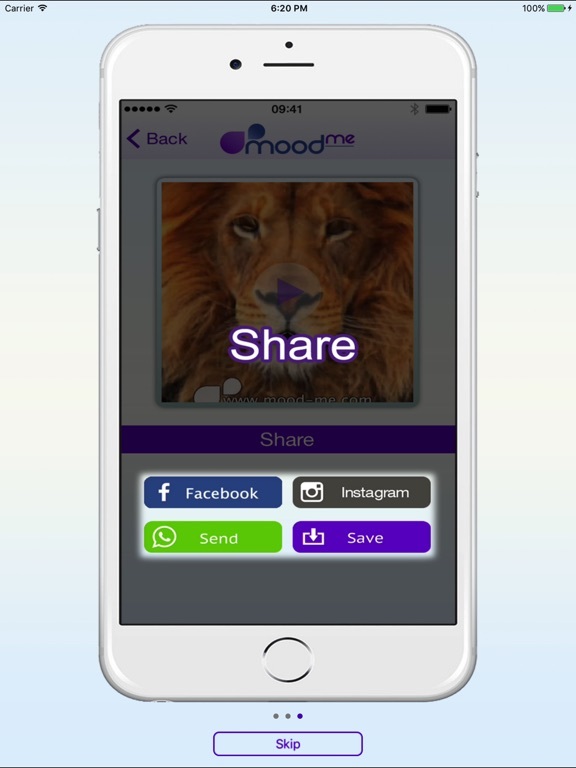 MoodMe makes it fun and easy to create hilarious video messages. 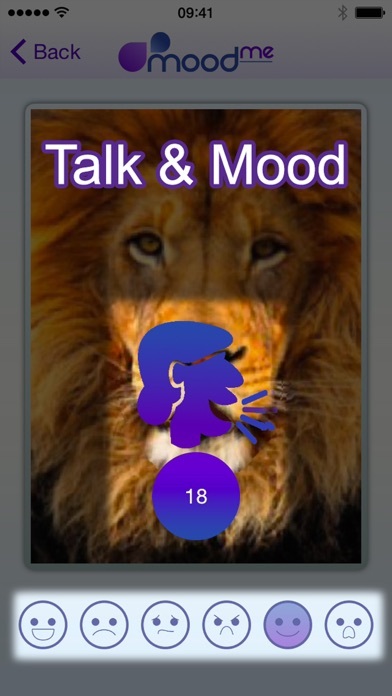 In three clicks, you can record your voice and make any face talk it back in funny videos that you can share with your friends. 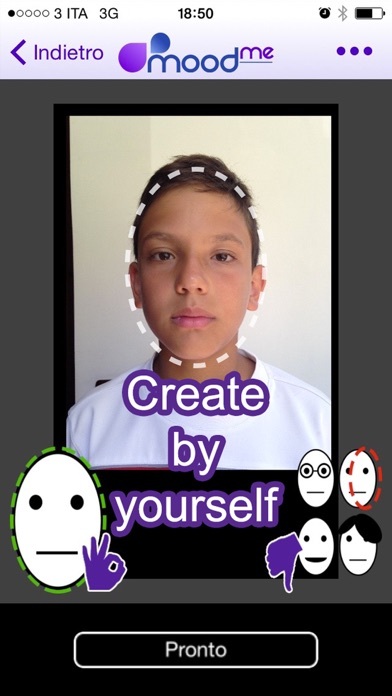 Anyone can express himself/herself through one of many face generated by our users, perhaps a sport star, a comic book character, a celebrity, an actor, a politician or one of your friends or simply yourself. Simply push the record button and speak for a few seconds. You are literally putting words in somebody’s mouth! 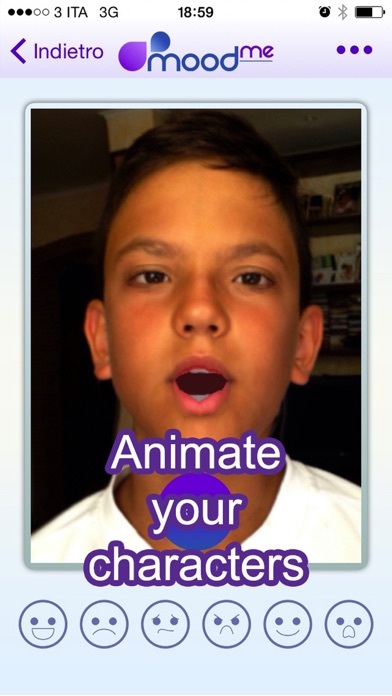 Express yourself in this unique way and talk the funniest line or joke using one of the countless faces in the app. 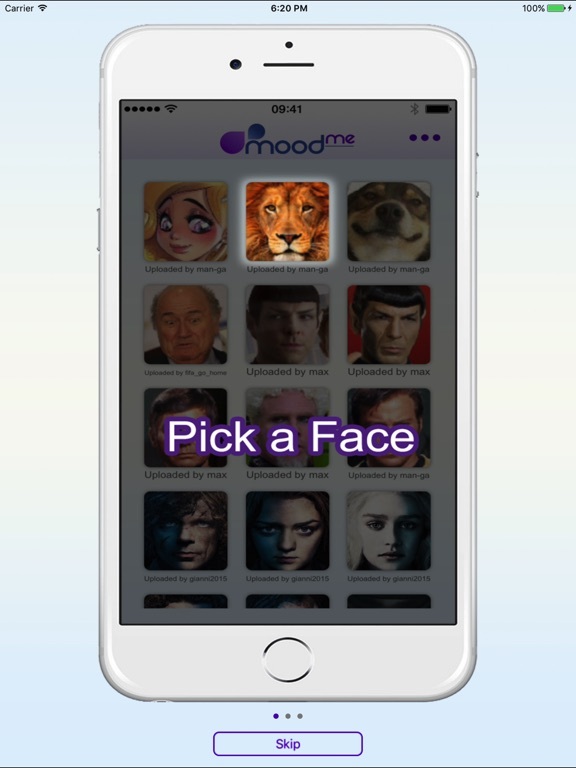 In addition to creating hilarious videos, you can also submit collections of faces to MoodMe gallery of fame for all MoodMe users to use. It’s a new way to send a voice message. Send it with a surprising messenger to make your friends laugh. 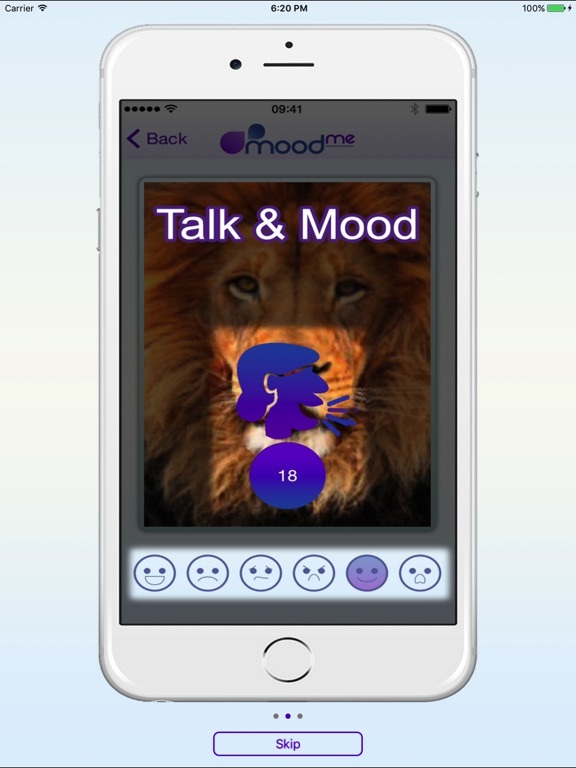 Stay in touch: don't text me, MoodMe ! Living Portraits are now working fully on your smartphone. No more delays to sync with Cloud platform. New collection of 3D avatars from celebrities in sports, music & cinema, plus a few politicians.